With SHOT Show 2014 underway Streamlight has taken the opportunity to announce several new additions to their product line for 2014. 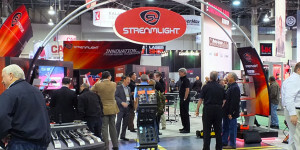 Mostly based upon some of their more popular existing products, these new members of the Streamlight family offer increased outputs and/or runtime when compared to their predecessors. All photos Copyright © 2014 Streamlight Inc.
Edited 3/13/2014: Be sure to check out the full review of the ProTac HL 3! With the introduction of the ProTac HL 3, Streamlight announces itself as a player in the high-powered three cell tactical light market. Boasting an impressive 1100 lumen output and 36,000 candela beam intensity, the ProTac HL 3 features the same TEN-TAP Programming found on the smaller ProTac HL. 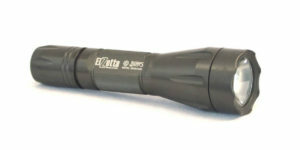 For more information visit the Streamlight ProTac HL 3 product page or see our full review. The new Streamlight Scorpion HL replicates the size, shape and feel of the previous members of the Scorpion series while providing significant upgrades in power and usability. 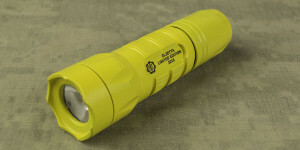 For more information visit the Streamlight Scorpion HL product page. With 275 lumens of output and the addition of TEN-TAP Programming, the Streamlight PolyTac is a full-featured high performance flashlight with a slip resistant, high-impact nylon polymer body. 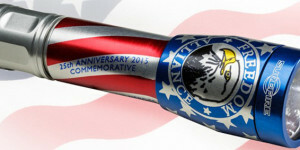 For more information visit the Streamlight PolyTac product page. For tasks requiring extended reach, the Streamlight PolyTac HP offers an impressive peak beam intensity of 19,000 candela. The addition of TEN-TAP programming the user interface of the PolyTac HP can be configured based upon the user’s needs. 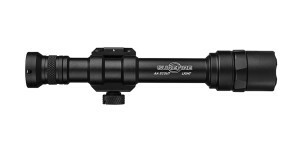 For more information visit the Streamlight PolyTac HP product page. Posted in Flashlight News and tagged Streamlight.